There were more twists and turns in the BBL Championship and Play-Off races, on Sunday. 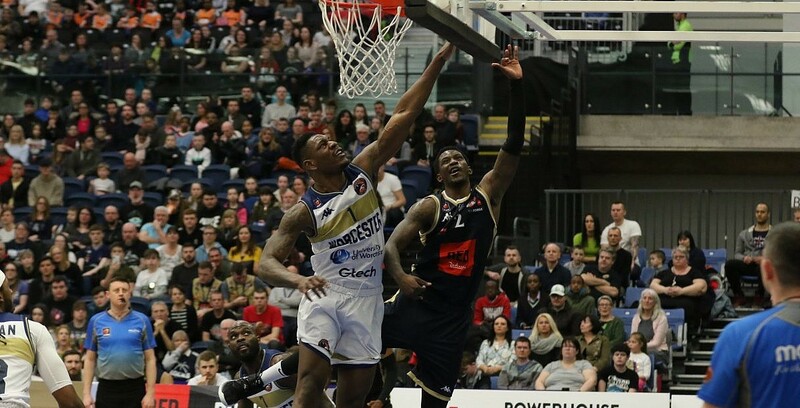 London Lions saw their lead at the top extended after beating Plymouth Raiders 67-93 behind 26 points from Brandon Peel, while Leicester Riders fell to a 75-73 loss at Manchester Giants as Willie Clayton posted 25 points and 20 boards. Cheshire Phoenix came from 12 down to beat DBL Sharks Sheffield 80-73 with 25 points for Momcilo Latinovic and there was a 92-79 victory for Radisson RED Glasgow Rocks over Worcester Wolves including 21 points from Kieron Achara.